Today I thought I would do a post on one of my favourite topics: FOOD. I am awful with food, I eat and eat and eat and then complain about my body. Yes, I am one of those! Unfortunately for my body, my kryptonite is curry. Not just any old curry, but Chicken Korma. I am obsessed with it and although I am good, because its not like I have it every week; when I do have it, I am like a little child at Christmas, filled with excitement. I am admittedly really rubbish with spices, always have been and always will be, so until recent years I was always very apprehensive about trying Indian food...and then, someone introduced me to Korma. It is a perfect meal for me because it has literally no spice in it what so ever so it means I don't suffer with horrendously burnt and swollen lips for hours afterwards. It is also good because I think it isn't too much of an overpowering flavour (some people may call it bland or too beige though) so it goes nicely with the other sides that you often order with a curry. I know, I know, Chicken Korma should not be eaten when you are trying to watch your waistline...so if anyone has any healthy curry options then please do let me know! Hi please visit www.cravingcurries.co.uk we have Indian curry spice kits that would be ideal for you to try. 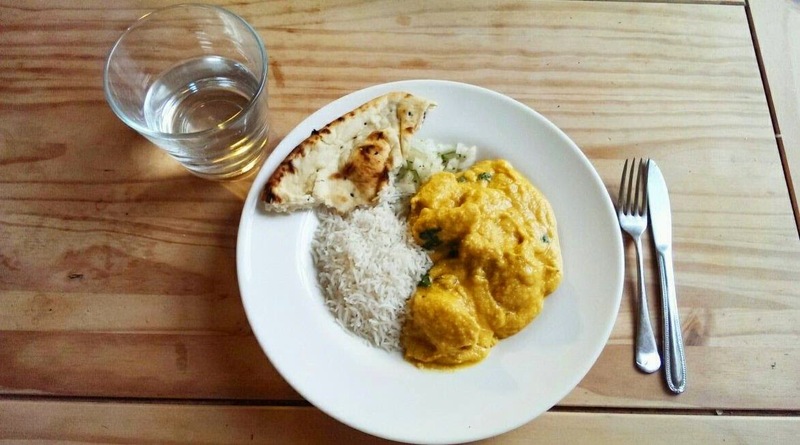 Our korma is a healthy version with all the taste if not more! I love Indian food too - Chicken Tikka Masala is my favourite and i've got a bit of an addiction to peshwari naan bread too!